Chris Lasswell may seem like an average guy when he greets you at Lockaway Storage on Culebra Road, but his history of doing good works in the community is anything but average. Recently, Chris received an email from Marianna Sanchez on behalf of Bexar County Family Justice Center, a haven for victims of domestic violence and their children. On any other day, they may not have crossed paths, but Marianna needed a truck, and Chris had one available. By waiving the rental fees and mileage limits, Marianna could go about collecting donations for the Family Justice Center. Chris didn’t know at the time, but Marianna is just one of the almost 4,000 domestic violence victims the center helps each year. Safe now for two years and mother to a four-year-old little boy, she was able to benefit from the center’s long list of services and now she is giving back. It’s funny how one act of kindness can positively impact many lives. Sometimes special things happen where you least expect it. 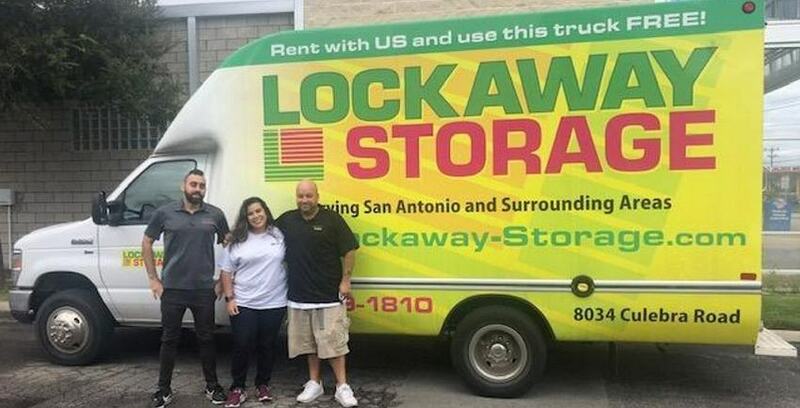 Lockaway Storage on Culebra Road is honored to contribute to an organization that does such important work for some of San Antonio’s most vulnerable. If you are in need of counseling or financial assistance to get out of a domestic abuse situation contact the Family Justice Center of Bexar County today. Services are free. Call 201-631-0100 for more information.